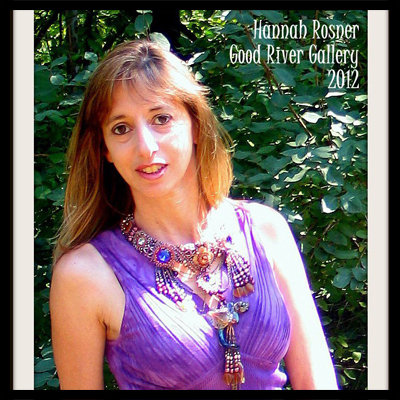 Hannah has taught beadweaving and lampworking at bead stores, national bead shows and conferences, and bead societies across the US. In 2014 she will will present classes at Bead & Button and BeadFest. She is a STARMAN Beads Trendsetter. In 2012 she won first place in the Advanced Sculptural Division at the Treasures of Toho Contest. In 2011 her Neptune's Tail necklace placed in the Jewelry category at the Vegas Glass Craft Expo. She was a semifinalist in the lampwork category for Bead Dreams 2009 and won second place at the Treasure of Toho 2009 contest.